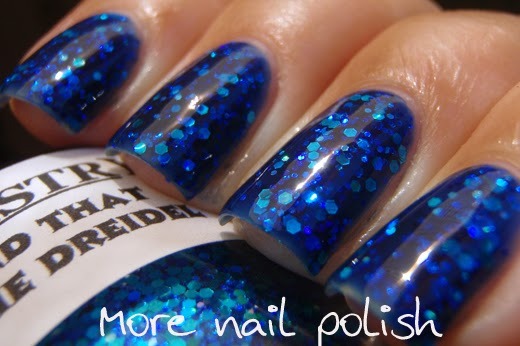 When I purchased my bottle of Lacquistry Amazeballz in November, I also thought I would try another Lacquistry polish, and this one really grabbed my eye. 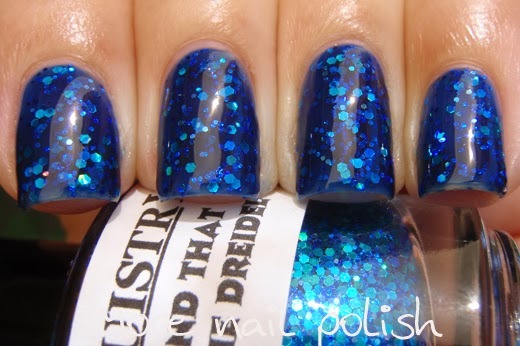 The Hand That Rocks the Dreidel is a deep blue jelly polish with a lovely mix of holo blue glitters. 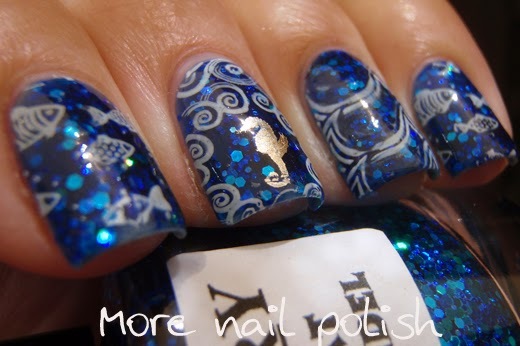 The colour combo made me think of the sparkling ocean, so I couldn't help but ad some stamping from my every growing pile of MoYou plates. The stampings is from MoYou Salior Collection 04 plate. There are little fish on my index and pinky. 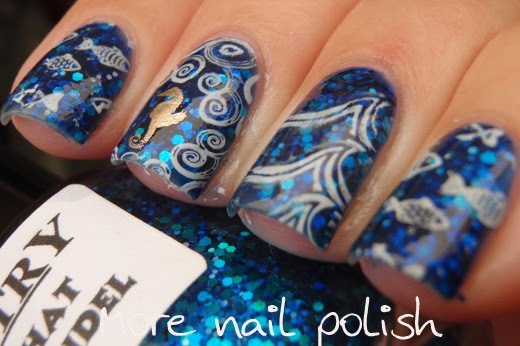 On my thumb and ring are the waves image, except I used some acetone to carefully remove some of the wave lines as I felt there was too much white covering the beautiful blue polish. I was able to do that cause I had two layers of top coat on. 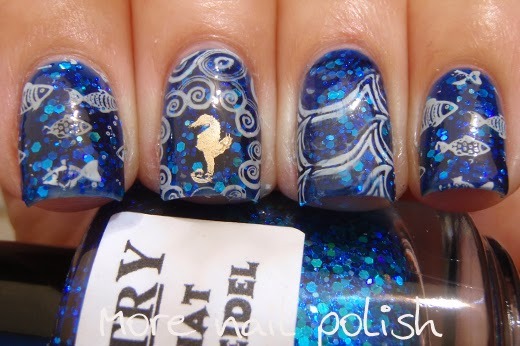 On my middle finger I stamped the swirling circle and put a single gold sea horse in the middle. 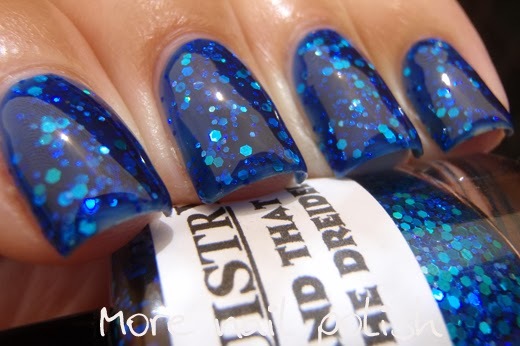 Here are some swatches of THTRTD on it's own. Doesn't it looks so squishy and gorgeous with so much depth. This was two coats of THTRTD with two coats of top coat. Lacquistry polishes are available from the Lacquistry Etsy Store. I love the look of the fish swimming the glitter ocean.